Landscape Lighting is far more than simply illuminating parts of your property. It is an art practiced by craftsmen and women who are trained and experienced in the many facets of the art. Do-it-yourselfers may try to design and install their own landscape lighting, but their efforts are severely hampered by the technology, access to quality products, and lack of design knowledge. details, but not so bright as to obscure surrounding dark areas. Aesthetics represents a holistic experience triggered by visual signals that are processed by the brain and judged to be appealing both superficially and with such depth that even the subconcious plays a role. In every case, a lighting project is judged to be aesthetically beautiful by both obvious beauty and by the wide range of emotions and feelings that arise from the visual experience. It is well known that a well-lit property is less liable to be invaded or burglarized. Less known is that the placement, coverage, and quality of the illumination greatly determine the level of security. A skilled lighting designer will identify the key areas of security concern and provide low levels of illumination to ensure that intruders are not able to move through the property unseen. Also known as usability, this goal identifies the need to provide appropriate illumination for the various regions of nighttime activity. 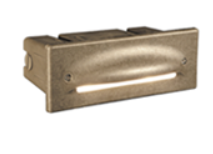 Areas such as decks, docks, patios, and sports courts reuire specific lighting designed accourding to the nature of the activity. Low voltage lighting with its small lighting fixtures adn sharply defined beams are ideal to manage the illumination for such areas.